Want a healthy smile and exceptional care? Thank you for your interest in our dental practice and in our philosophy of individualized, patient-centered dental care. Should you choose our practice for your dental needs, our hope is that your experience will exceed your expectations. We gladly welcome new patients of all ages to our practice! An initial new patient appointment will be with one of our dentists and is one hour in length. The purpose of this appointment is two fold. 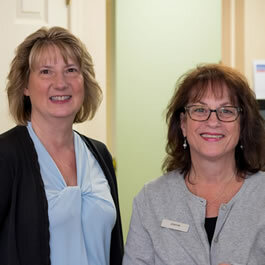 Our staff will get to know each patient and the patient can establish a comfort level at our office. Secondly, a dentist will learn the specific needs of each patient by way of a thorough examination that includes necessary x-rays, study models and photographs. With this information, the doctors can give the patients treatment recommendations that meets their specific needs. This treatment plan is reviewed with the patient at a subsequent no-cost consultation visit. Any questions and concerns are addressed at this time. The entire staff at Hughes and Hughes Family Dentistry sees serving patient needs, both dental and personal, as a non-negotiable priority. Along that line, each patient who walks through our doors should expect to be listened to, seated on time, and treated with compassion and the utmost respect. When patients choose to entrust their care to us, we consider it a privilege not to be taken for granted. Contact us to schedule an appointment of for more information. Call 610-942-3321 or submit an electronic request today. Come in and visit our office! Introducing GLO Guided Light Optics Technology, which combines optimal heat and light in a closed system mouthpiece to activate and accelerate the whitening gel formulation for safe, superior results with little to no sensitivity. 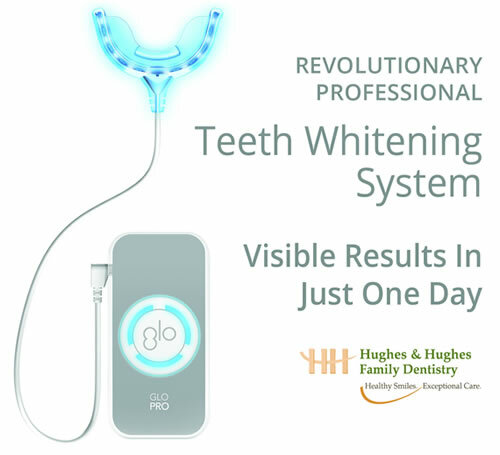 We offer clinically proven GLO professional whitening in the office plus patient take-home kits—with faster appointments, superior results, no trays, and little to no sensitivity. Smiling is contagious. Let your smile GLO! Contact us for more information or to get started. Call 610-942-3321 or submit an electronic request today. Invisalign is an exciting new technology that straightens your teeth with a series of clear, customized, removable aligners. The aligner is a thin piece of medical grade plastic that fits over the teeth like a glove would fit on a hand. Hardly anyone can tell you’re going through treatment and because the aligners are removable, you can eat whatever you want during treatment. Once treatment is started, you simply come visit us at the office every 6 weeks or so to monitor your progress, and continue moving you through your custom set of aligners. Contact us for a FREE Invisalign consultation or for more information. Call 610-942-3321 or submit an electronic request today. Click here for frequently asked questions about this amazing treatment option. Have family and friends who might want to visit our practice? Refer them and receive a special Thank You gift card. I have moved 16 times in my life, and I have had almost as many dentists in my “dental life.” In life, a person needs a good mechanic, a good family doctor, and a good dentist. New to the area after a cross-country move from West to East, I had picked a dentist from the Internet who was the most local. This worked for a while until my new crown went awry. After repeat visits to the local dentist, I had to make a change. I needed the best care and found someone that took care of my problem in one visit. Dr. Mike was spot on with the issue and fix. Four months later, I have taken care of other issues and I have my solid three professionals. My mouth is clicking on all cylinders! From the first moment I walked through the front door it was obvious I was not just in a dental office, I was with friends and people that genuinely cared about me. The friendliness and personal attention I received from Dr. Mike, Dr. Hughes, and the entire staff seemed extraordinary at first, but soon I realized that was business as normal for them. During my Invisalign treatment, Dr. Mike gave me the confidence to stay on track during challenging times, and the reassurance he was as committed as I was to make certain I would be happy with the end results. I knew without a doubt, my best interests were first and foremost, and yes, I’m extremely happy with the results! They make my dental appointments the best part of my day! 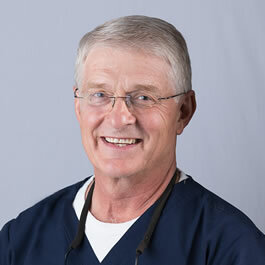 I have been using Dr. Hughes for almost 30 years for myself and my children and have been extremely happy with his dentistry as well as his excellent staff! Not only is he a terrific dentist, but he does an excellent job explaining all of his procedures. In addition, he is a warm and caring person. Luckily, his son is following in his footsteps. I would highly recommend Hughes Dentistry! The dental experience at Hughes & Hughes Family Dentistry starts when you first walk through the front door. You are always greeted by name and with a smile. And the smiles extend throughout the visit. The office staff is there to make your visit as comfortable and pleasant as possible (which is important to this ‘grab the armrest with white knuckles’ kind of person). Everyone is quick and efficient, and you are never left alone. Everything is explained to you and options discussed. The doctors listen to your concerns and make sure that you know exactly what is going on at all times. Whether it’s a pat on the shoulder, a corny joke, or a serious conversation, this is definitely the place to go. I have been a patient of Dr. Hughes for almost nine years and have had significant and complicated work done. 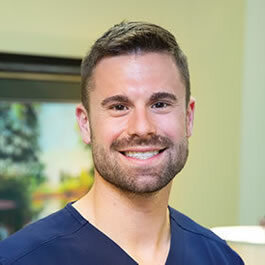 At every visit, I felt very comfortable and confident because Dr. Hughes, the dental assistants, and the hygienists were professional, knowledgeable and treated me as if I were their only patient. Every person in the office is kind and truly nice. The office staff is always helpful from making appointments to insurance questions. The dental assistants and hygienists are not only professional but also caring. I have recommended Dr. Hughes to a neighbor and a family member and I know they feel the same way. My family has seen Dr. Hughes since we moved to the area in 2003. He came highly recommended, not only for his professionalism and expertise, but also for his lovely, warm personality. We could not agree more! It is actually a pleasure to “go to the dentist!” It has also been a pleasure getting to know the younger, Dr. Hughes, who in every way carries on the Hughes tradition of excellence. I have been a patient at Hughes & Hughes Family Dentistry since 2002. The words I use to describe Dr. Hughes, Dr. Mike and their entire staff would have to be compassionate, caring, genuine, and absolutely phenomenal people. Truly a family atmosphere. Over the years everyone in the office has made sure that at every visit I was taken care of in the upmost gentle, caring and warm way. They helped to make me calm inside and made sure that my experience each and every visit would be a great one. When I left the office I would always say to myself, “Wow, why did I get so worked up in the first place?” I had occasion recently to be referred to an amazing oral surgeon that Dr. Hughes and Dr. Mike work with. I was frightened beyond words to have the needed procedure done. Dr. Hughes assured me that I would be well taken care of and that he would be there the day of the surgery for support. I felt much better knowing that he would be there. This is an excellent example of the compassionate care I have received from Dr. Hughes and his team. From the bottom of my heart I totally recommend the amazing office of Hughes & Hughes Family Dentistry. When we were looking for a dentist, we chose Hughes and Hughes for its location and convenient hours. We are glad we did! We have been patients for more than a decade. 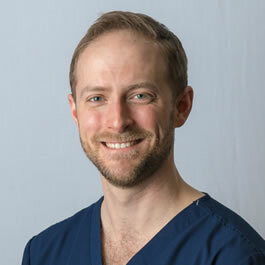 Dr. Hughes, Dr. Mike, and the entire staff are always friendly and helpful. Whether you are there for a filling, a cap, or something more extensive like the Invisalign treatments, Dr. Mike and Dr. Hughes take the time to explain why you need the procedure, and make sure you are comfortable with the treatment plan. They take time to make sure you are satisfied before you leave and make follow-up calls after your visit. They treat you as a person and not just as a patient. We would highly recommend Hughes and Hughes to anyone needing a dental practice. Ask us about GLO Teeth Whitening!